Tesla Inc. (TSLA.O) slumped after Nikkei reported the electric carmaker and Panasonic Corp. (PCRFY.PK) are suspending plans to expand the capacity of their US$4.5 billion U.S. plant in the face of uncertain demand for electric vehicles. The pair had intended to raise capacity at the gigafactory near Reno, Nevada, by about 50 per cent by 2020 but financial problems forced a re-think, the newspaper said without citing its sources. Panasonic also intends to suspend planned investment in Tesla’s battery and electric vehicle plant in Shanghai, and instead provide technical support and a small number of batteries from the existing gigafactory, the newspaper reported. “Panasonic will study additional investments over 35 GWh in collaboration with Tesla,” the Japanese company told Bloomberg News in response to the report. Tesla declined as much as 4.7 per cent to US$263.20 in pre-market U.S. trading. The stock has lost 17 per cent this year. 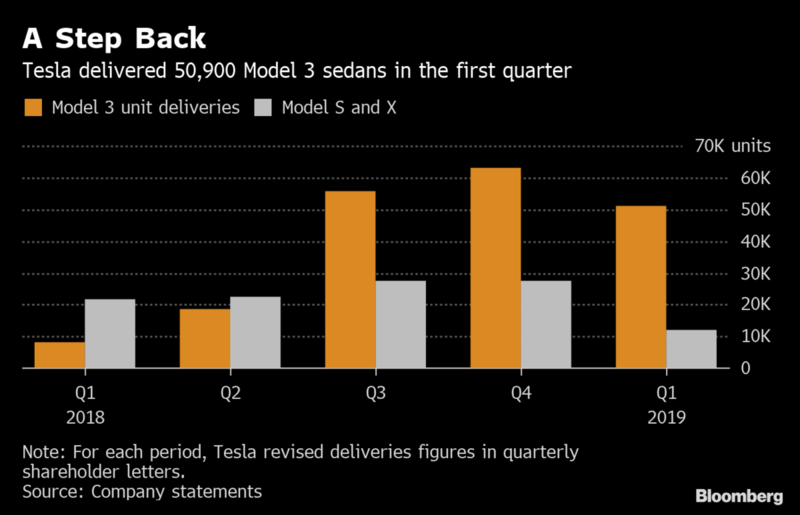 A record drop Tesla in deliveries during the March quarter has stoked concerns about slackening demand for the Model 3, the company’s newest and least-expensive car. In the U.S., electric-car subsidies shrank while the company has struggled to quickly get the cars to consumers in China and Europe. While co-founder Elon Musk reiterated a forecast for 360,000 to 400,000 vehicle deliveries in 2019, investors remain cautious given its history of missing ambitious projections. Tesla’s financial strength has been a concern for investors. The company had to pay off a US$920 million convertible bond in February, which ate into the about US$3.7 billion of cash and equivalents it held at the end of last year. Musk had warned the manufacturer would probably would lose money during the just-ended first quarter, and the carmaker has a US$566 million note coming due in November. Tesla has said it has enough money to pay off debt obligations with cash flow. A Tesla spokesman wasn’t immediately able to comment on the decision to freeze spending. The Model 3 has been available in the U.S. since 2017, though sales there have slowed with the removal of some tax incentives, and the company has struggled to get the car quickly into Europe and China. In the March quarter, Tesla delivered 63,000 vehicles, down from 90,966 in the final three months of 2018.